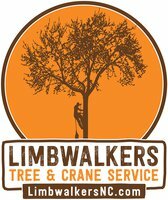 VanNoppen was excited to help the owner of a new bed and breakfast in town come up with a brand for her business. The new logo we designed captures the sense of victorian-era history and elegance visitors experience when staying at The Belle at Avery in downtown Morganton, NC. 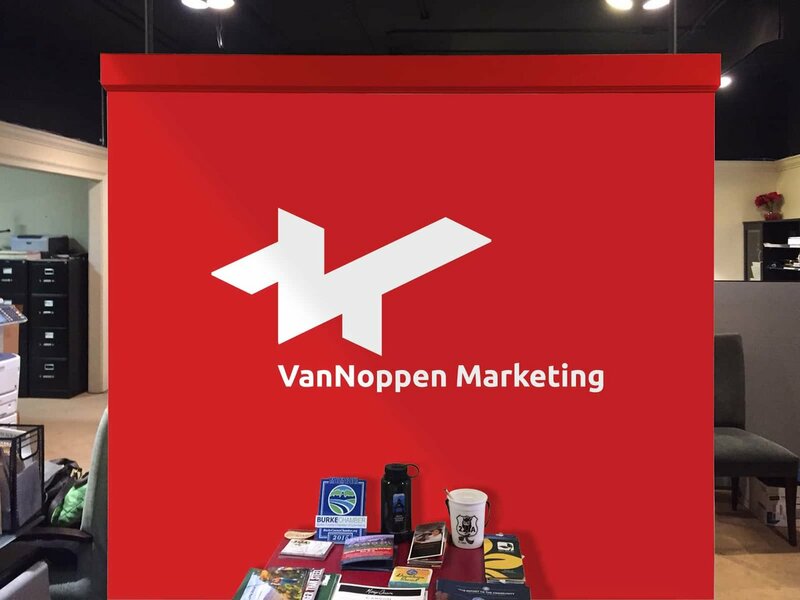 In the course of 16 successful years VanNoppen Marketing has evolved into a proven, award-winning, full-service strategic marketing practice offering creative and effective services to businesses, governments and professionals across the US. We thought it was time for a new look. Dr. Cooper Williams, an equine sports vet in Maryland, hired VanNoppen Marketing to create a complex logo of a horse skeleton jumping an ECG line. 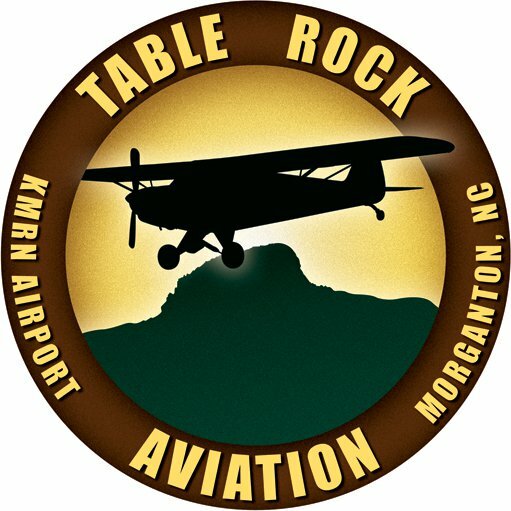 A new venue and conference center coming to Morganton hired VanNoppen Marketing to create a unique brand and graphic for their company. VanNoppen Marketing was contracted to assist Burke Development Inc with an effort to change the face of local workforce, titled Work In Burke. The project is an integrated, multi-faceted marketing, outreach and education / information campaign that saturates the Burke County student population with information about employment opportunities, employment requirements and pathways to training. Following a thorough review of submissions from marketing agencies across the country, VanNoppen Marketing was awarded a contract from Burke County to develop a brand that reflected the growth and vision of the county. 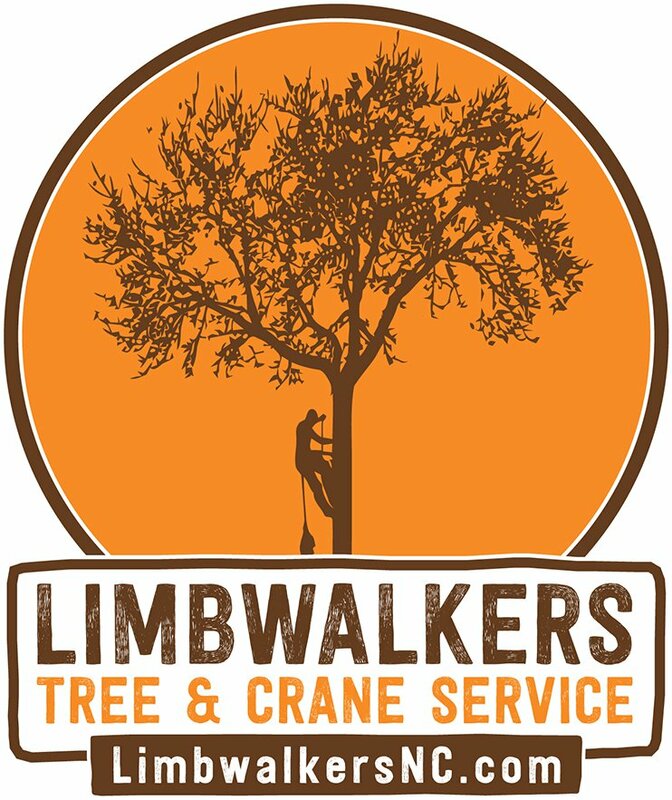 Limbwalkers Tree & Crane Service hired VanNoppen Marketing to create a fresh brand and a new website to reflect its comprehensive list of services including tree services, tree removal, stump grinding, land clearing, firewood, emergency services, crane services. 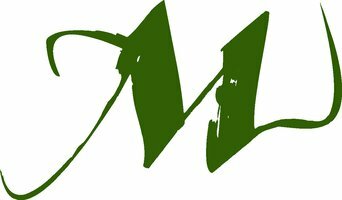 Challenge Design Innovations, based in Pineola, NC, is a global leader in the design, construction and management of outdoor challenge course, tactical and fitness courses and zip lines. It hired VanNoppen Marketing to develop a marketing strategy and tools to promote its professional-caliber services. VanNoppen Marketing was charged with branding a new company, SVN Aviation, and developing a logo and collateral. 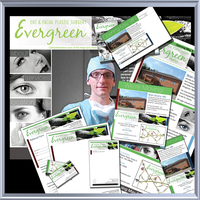 VanNoppen Marketing worked closely with the principals of Evergreen ENT to create a full brand strategy including logo, signage, posters, stationary, photography, patient collateral, website, advertising and more. 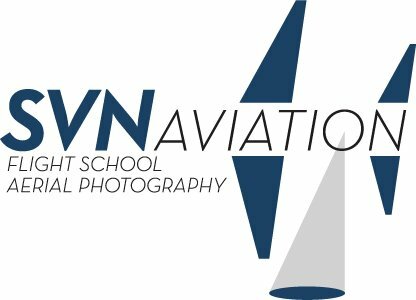 When this important private K-8 school changed its name to Morganton Day School, it engaged VanNoppen Marketing to develop and manage branding, PR and collateral development deployment. VanNoppen Marketing was hired to develop a brand and related collateral for a residential real estate firm that specialized in Lake James properties, Lake James Realty. 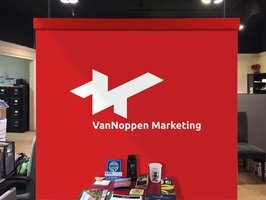 Burke County Chamber of Commerce turned to VanNoppen Marketing to create a new brand to reflect its focus on local business expansion during a period of local amenity-driven growth. VanNoppen Marketing conducted an enormous portfolio of creative and effective marketing work for Crescent Communities' Lake James developments, including branding a central amenity, Camp Lake James. VanNoppen Marketing designed and developed Joara's enduring brand. The Joara Foundation, Inc. engages the public in archaeology in the Carolinas, and emphasizes the discovery of the Native American town of Joara and Fort San Juan, the first inland European settlement in the United States. VanNoppen Marketing was hired to help longtime client and friend Switzerland Inn brand a popular NC motorcycle route. We named it The Diamondback. VanNoppen Marketing created a new brand and marketing tools for business strategist, Baber Consulting, that included logo, printed collateral, letterhead, and website. VanNoppen Marketing helped to launch a new brand for Crosswinds Cafe, complete with a menu, logo, mugs, and more. VanNoppen Marketing created a dynamic logo for Burke County's Tourism Authority that graphically reflected the areas recreational amenities. Brandon NeSmith opened a Flight School in Morganton called, Table Rock Aviation. He hired VanNoppen Marketing to design, develop, deploy and manage the full spectrum of marketing initiatives from logo to interactive website and eBlasts. For more than a decade VanNoppen Marketing has collaborated with Burke Primary Care to create unique, personal and compelling branding, advertising and marketing that is integrated across all mediums.